Cleargistix CEO Named One of Louisiana’s Top Tech Influencers! MADISONVILLE, La. – February 2, 2018 – Cleargistix President and CEO Steven J. Toups, CPA has been included on the Silicon Bayou 100 for 2017, a list of the 100 most influential and active individuals in tech and entrepreneurship in Louisiana in 2017, the company announced today. Toups, a Certified Public Accountant, is a graduate of Louisiana State University with more than 30 years of professional experience in private business and entrepreneurship. He joined Cleargistix in 2015. Cleargistix is known for its cloud-based digital field ticketing solution used by customers in the oil and gas, tug & tow and construction industries. The company’s software eliminates paper forms and provides real-time access to field information, such as job updates, safety and inspection data, payroll, revenue and more..
As a “light, fast, quick and easy” solution to information management between the office and the field, Cleargistix reduces the need for phone calls and emails between the field and the office and simplifies dispatches with alerts and notifications. And maybe most importantly, Cleargistix helps prevent the fire drills that are an all too frequent occurrence around invoicing and payroll processing at service companies. Toups was nominated for the honor. The full Silicon Bayou 100 list was revealed during an event Thursday at The Warehouse in New Orleans. The Silicon Bayou 100 is a project of Silicon Bayou News. 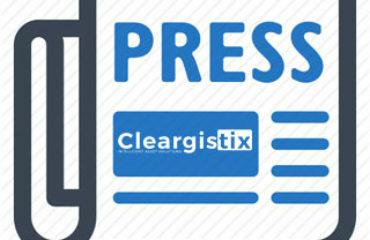 About Cleargistix Located in Madisonville, Louisiana, Cleargistix intelligently connects the field to the office through its digital field ticketing solution that eliminates the many problems related to using paper tickets/forms and spreadsheets to capture and manage information from the field. For more information, visit www.cleargistix.com or email info@cleargistix.com.